Dr. Ned Hallowell, a world-renowned psychiatrist and international speaker, recently featured Alpha-Stim® as the topic of the day on his podcast called Distraction, which is focused “on coping and connecting in our crazy-busy world.” Calling it “the way of the future,” Dr. Hallowell explains that Alpha-Stim is effective at treating depression, anxiety, insomnia, and pain, and that he uses it in his own clinic with great success. Hallowell attended Harvard College and Tulane School of Medicine before founding the Hallowell Center for Cognitive and Emotional Health. He is a regular and respected contributor to many media outlets. 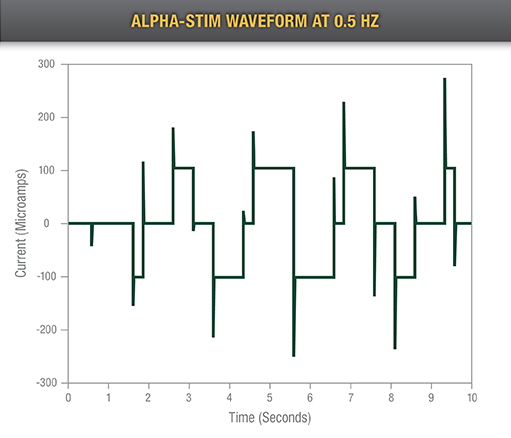 Alpha-Stim works by using Cranial Electrotherapy Stimulation (CES), delivered in a patented waveform through tiny electrodes that clip onto your earlobes, to treat depression, anxiety, and insomnia. The microcurrent is so mild that most people cannot feel it. The Alpha-Stim M does all of this, and also treats pain with Microcurrent Electrical Therapy (MET) that is delivered with two probes directly to the site of the pain. Alpha-Stim is FDA cleared and is available by prescription in the United States. Outside of the U.S., it is available over the counter. To see for yourself what Dr. Hallowell and so many others have already discovered, get started today!